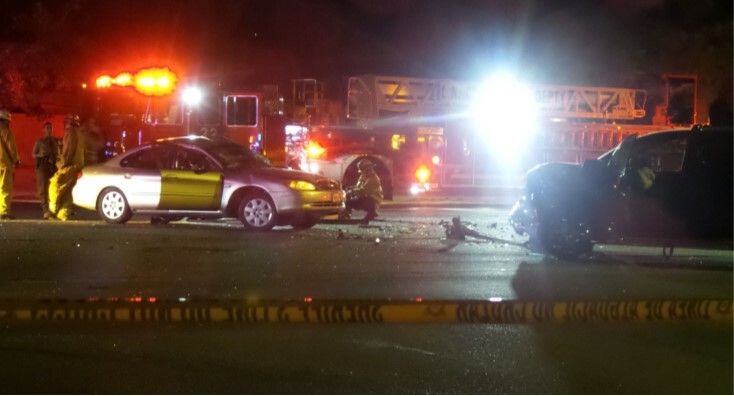 LANCASTER – The driver of a car was killed and two passengers were hurt after the vehicle turned in front of an SUV in a Lancaster intersection, authorities said. The crash occurred around 10:30 p.m. Thursday, July 19, on Avenue I at 7th Street East, according to a news release from the Lancaster Sheriff’s Station. A 2007 Nissan Armada was westbound on Avenue I approaching 7th Street East when a 2000 Ford Taurus turned eastbound from 7th Street East, directly into the path of the SUV. The driver of the Taurus was pronounced dead at the scene, according to the news release. His name has not yet been released pending next of kin notification. A rear passenger in the Taurus suffered significant trauma, and he was taken to a hospital in critical condition. The front passenger in the Taurus, a female, was taken to a hospital with moderate injuries. The driver of the Armada was the sole occupant of that vehicle, and he complained of pain, according to the news release. “Speed does not appear to be a factor. Impairment for both parties is yet to be determined,” the news release states. Anyone with information on this collision is encouraged to contact the Lancaster Sheriff’s Station Traffic Unit at 661-948-8466. UPDATE: The deceased driver has been identified as Ralph Johnson, 62, of Inglewood, according to the Los Angeles County coroner’s office. 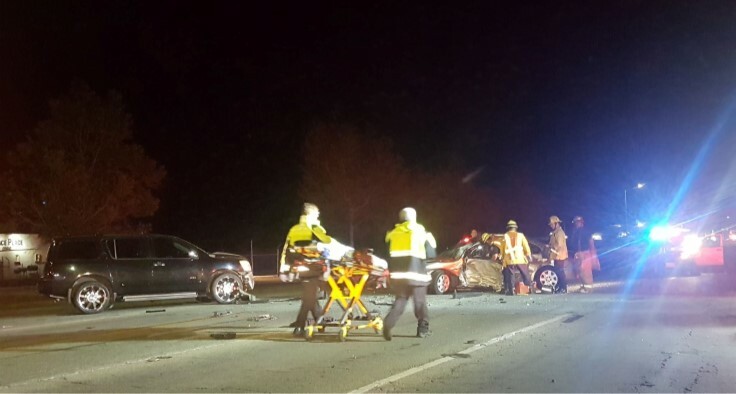 21 comments for "One dead in two-vehicle crash in Lancaster [updated]"
There are five lanes of traffic in two directions at that junction. While looking for a gap in all five lanes at the same time, they probably missed the SUV. This is why I can’t believe that you have to cross all lanes at the same time while driving. Someone needs to redesign that intersection so you can cross 1 lane of westbound traffic, then 1 lane of eastbound traffic. Hello Wendy my name is Monique and Ralph Johnson is my uncle. Thank you so much and I pray for a speedy recovery in Jesus name for you. I hope your doing well. Wendy if possible can you contact me I really would like to hear from you if possible my email is Moniquejohnson11975@gmail.com God bless you!! Thank u all for your prayers my condolences to the driver and his family to the young man who’s also fighting for his life may God Bless you I’m praying complete restoration my twin sister was the female passenger she is alive but suffered significant injuries! Put god first, and believe that everything will be ok. This is what’s wrong with people now a days they have the “me first” mentality with no regards for others. It is very fortunate that the only person who died was the idiot that put everyone’s life’s at risk either do to his own stupidity or plain ignorance. I hope the passengers and the driver of the other vehicle are doing okay and feel very blessed to be alive. To all family and friends, my God ease your pain . RIP to the deceased. I’m so sorry for you loss… My prayers are with you and your family.. The body of a sedan…. THANK TO ALL BUT I NEED THE PRYER ,CAUSE THE THE GOLD CAR WAS MY SONS FATHER AND HIS TWO FRIENDS . Correction my sister was not his girlfriend but very very sorry for your family loss and the young mans family whom I have meet and is simply beautiful I’ll continue to pray for all! Please keep us posted on arrangements please thank u!! Speed not a factor. Stupidity? Yes.